CLINTON, Tenn., August 17, 2015 –Techmer PM, a leading producer of value-added colors and additives for the plastics and fiber industries, recently partnered with Artisan Screen Printing, an Azusa, California-based blow molder, to develop shade balls to protect and reduce the evaporation of water from the L.A. Reservoir in Los Angeles. Shade balls are designed to protect water quality, prevent algae growth, and slow evaporation from the reservoir. 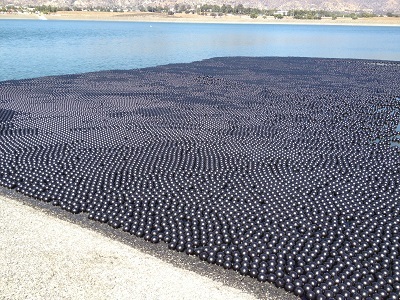 The four-inch plastic balls, which were recently placed in the L.A. Reservoir, are made of high-density polyethylene and include UV stabilizer and carbon black color provided by Techmer PM. The project is estimated to protect the 3.3 billion gallons of water in the reservoir for approximately ten years and save 300 million gallons of water per year from evaporating. Of the 96 million shade balls used on the project, more than 89 million balls were produced by Artisan Screen Printing and include Techmer PM materials. 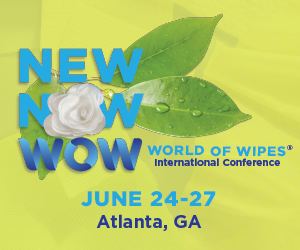 The development of the balls took three years of close collaboration among Artisan Screen Printing, Techmer PM, and engineers from the Los Angeles Department of Water and Power. By working together to solve problems associated with leaking and cracking at the seam lines, the team was able to create shade balls with a longer life expectancy than previous versions. Techmer PM, LLC, is a major producer of value-added masterbatch and engineered compounds for the plastics and fiber industries. The company manufactures and sells masterbatch under its Techmer PM brand and engineered thermoplastic compounds through its Techmer ES subsidiary. The company has worldwide manufacturing capabilities focusing on high-performance applications where quality, technical support, and problem solving are critical. Techmer PM was recently recognized by Plastics News on its “Best Places to Work 2014” list. Learn more about the company by visiting techmerpm.com.